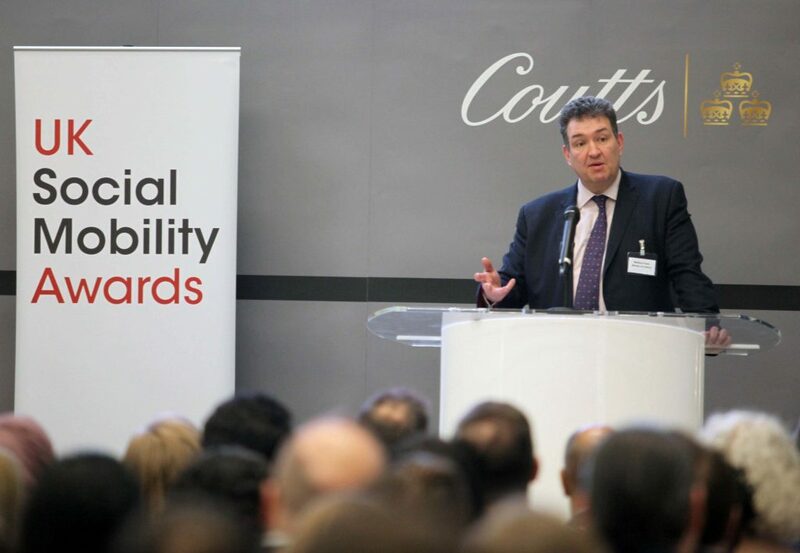 The 2018 UK Social Mobility Awards was launched on 19th March, at an inspiring evening reception that brought together leading figures from business, government and the public sector. 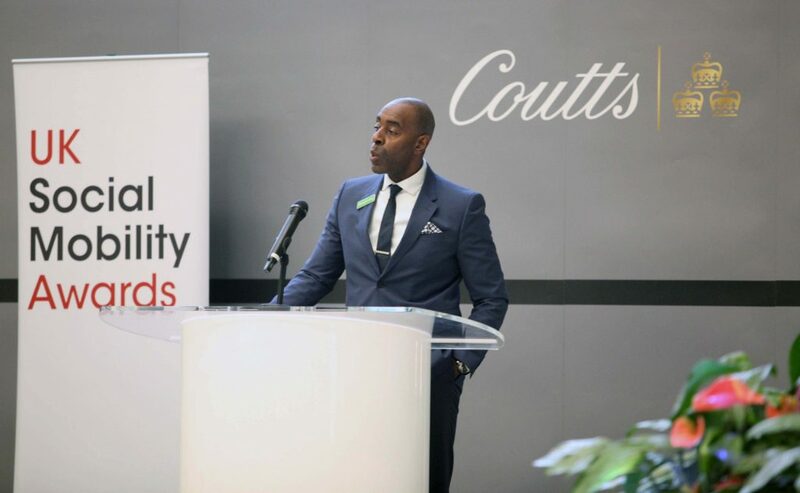 The event was generously sponsored by Coutts & Co and hosted at their stunning Central London headquarters. Guests had the opportunity to network with other forward-thinking companies and individuals who are devoting serious attention to the issue of social mobility. Enjoying drinks and canapes, they were entertained by pianists Geraldine and Yonita, a teacher and pupil from Notre Dame School in Southwark. Guests then heard from a range of speakers. 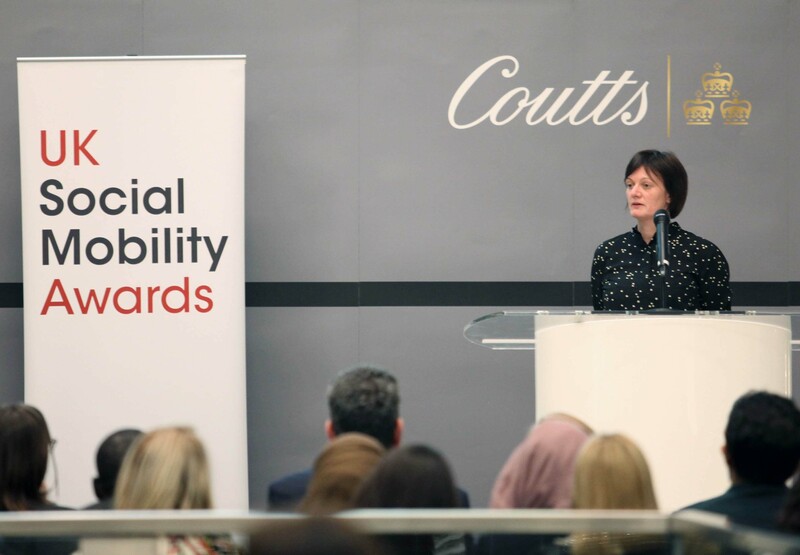 Claire-Marie Roche and James Clarry of Coutts welcomed the room, before Matthew Coats, Chief Operating Officer of the Ministry of Justice, reminded the audience that they were all collectively part of an important growing movement. Next, Rachel Woolliscroft of The Wates Group shared how her organisation won Organisation of the Year at the 2017 awards. Chair of the Judging Panel, Sir Kenneth Olisa OBE brought a personal message, delivering an inspiring speech about his own social mobility story. The case studies of last year’s winners were launched on the night and introduced by Lindsey Richards, from our case study partners CSI Nuffield, who highlighted some key themes that had arisen when interviewing the winners. These inspiring stories were also handed out in brochures kindly published by Foxtons. Finally, founder of the awards Tunde Banjoko OBE urged the room: ‘If social mobility is an area of interest to your organisation, do something, do more, and do it now. Be an example to others.’ With nominations to open shortly on the 16th April, organisations were encouraged to begin preparing their entry.